If you're looking for a city with a lively bar scene, you've come to the right place. The pubs and bars in Sydney ranges from the chic and glam to the edgy and quirky. But if you're young, full of energy and looking for the most fun and affordable way to hit those bars in the city, then OzParty might just have the right solution for you. 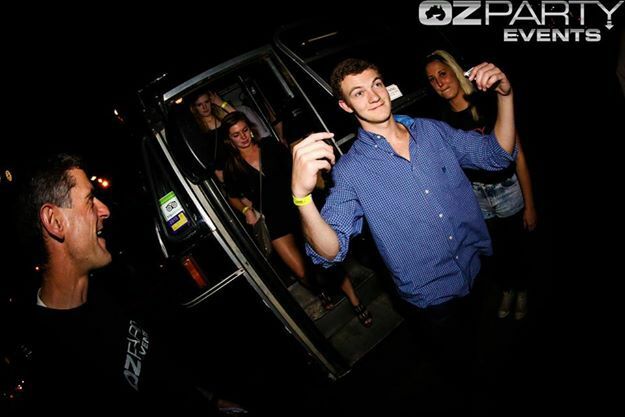 Check out its Saturday Night PartyBus for the ultimate bar night out in Sydney at only $35 per person. Your party starts on the bus with wicked music and lighting led by a live DJ and MC to keep you dancing and singing down the aisle of the bus. You and your fellow party-goers will then continue to bust out the moves at 4 of Sydney's best pubs and clubs. There's VIP entry and you get to down a FREE drink at each location. There are also fun games to win some amazing prizes. All you need to do is just bring your photo ID and receipt and leave everything else to your host for a great Saturday night out in the city. Why? Why walk to the pubs when you can take the PartyBus? Great value indeed! Safer too!